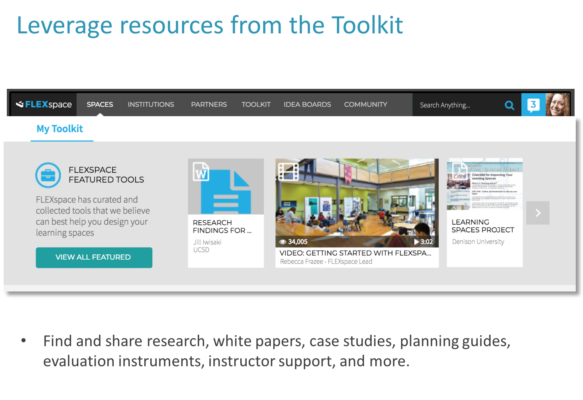 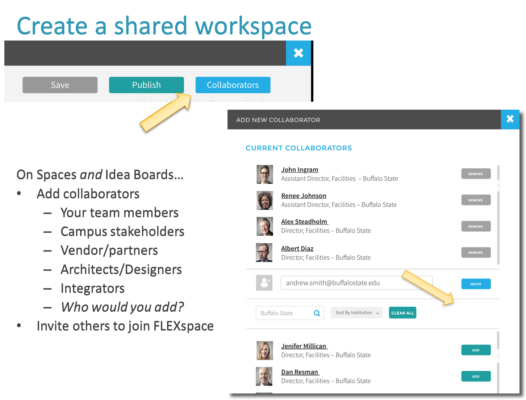 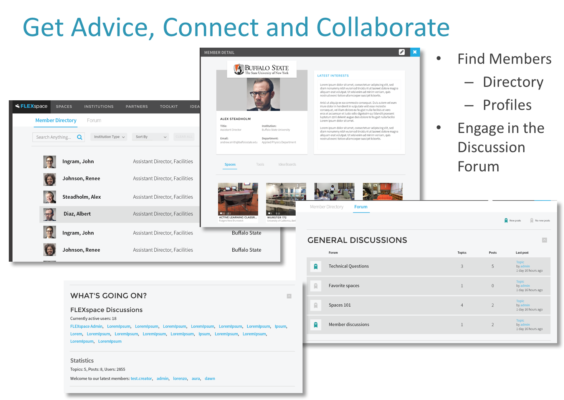 The FLEXspace team is excited to announce the rollout of several new features in the FLEXspace portal. 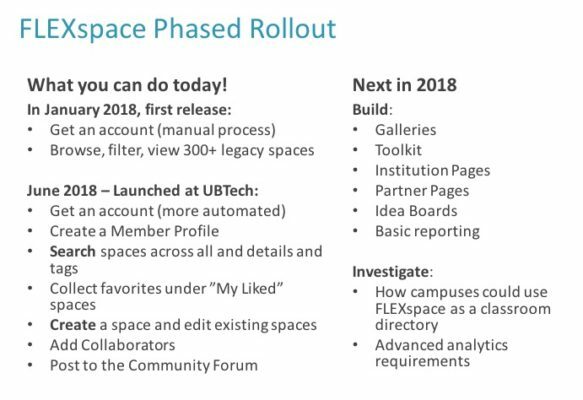 Here is the phased rollout plan for full FLEXspace development in 2018. 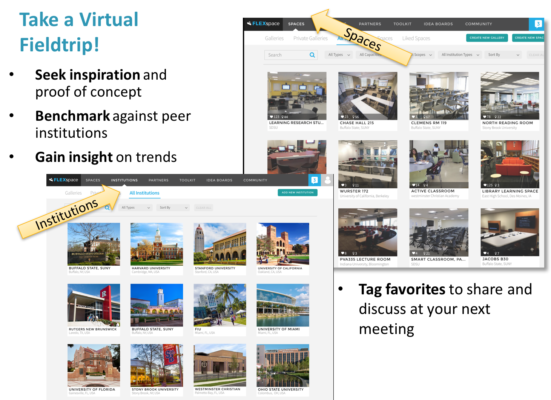 Browse, Sort, Filter, and Search spaces under All Spaces. 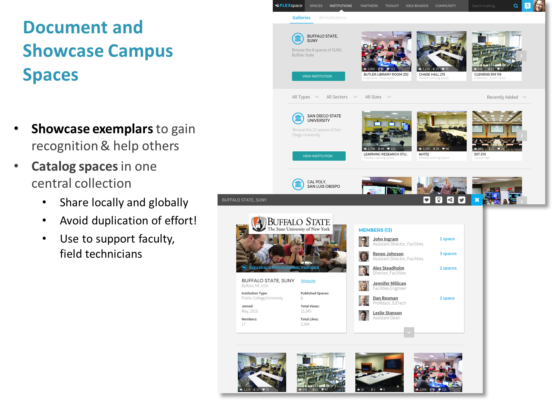 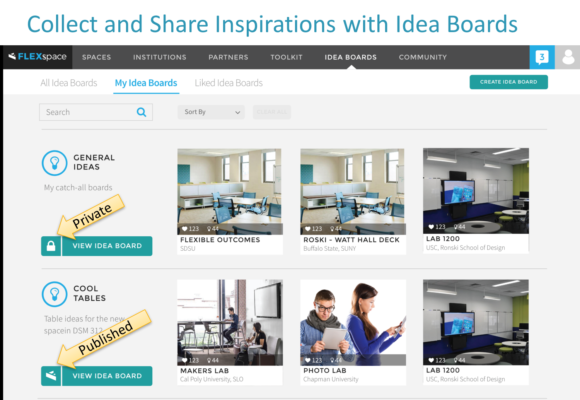 Soon, you’ll also be able to browse by Institution.